Over 75 per cent of the British public believe The Sunday Times’ investigation into FIFA will damage England 2018’s bid, says new research. The Sunday Times published a story on 17 October that claimed two FIFA officials offered to sell their votes ahead of December’s decision on the host country of the 2018 World Cup. 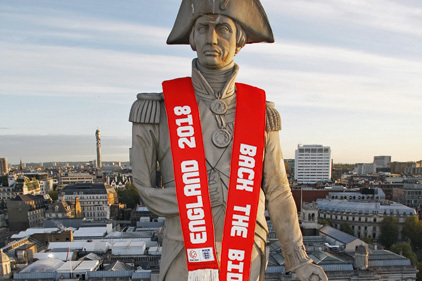 38 per cent of respondents said the story would damage England’s bid, and a further 38 per cent of people said FIFA will say it won’t affect the bid, when really it will. But despite the perceived damage, 69 per cent of respondents said The Sunday Times was right to publish the story because it exposed wrongdoing. Only 11 per cent said they shouldn’t have done so because the risk of harming the bid was too high.